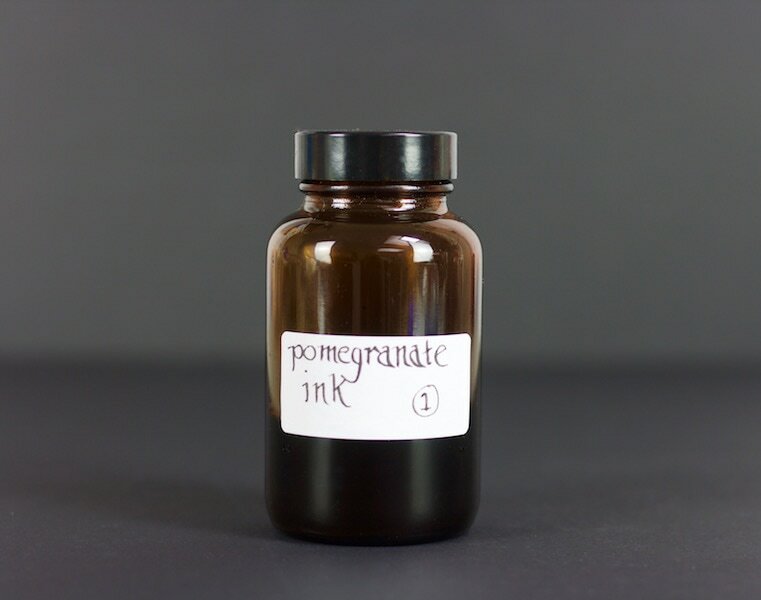 After seeing the pomegranate drawing (discussed on my blog post) I remembered that during my research I had discovered some recipes for pomegranate ink. Interestingly, it seems that as the pomegranate peel has antioxidant properties it might make the ink less corrosive when the peel is added to oak galls. Yale University have an excellent website which you may find particularly useful. 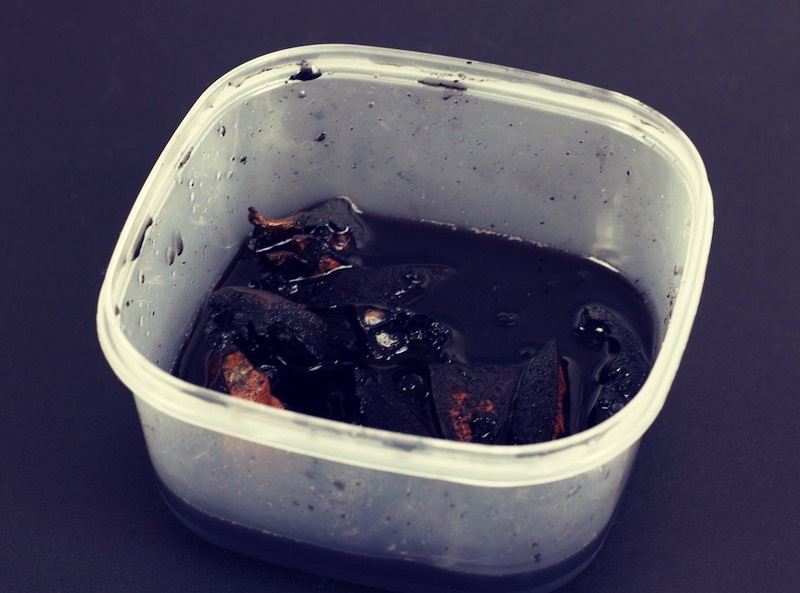 However, as the basic principle of ink recipes is finding and extracting tannic acid from plant material I decided to attempt making ink with only pomegranate peel. I made my ink using the rind of 1 pomegranate. I cut the fruit in half and used a spoon to scrape out the fleshy seeds which are then discarded (or eaten) I was then left with the rind which I cut into pieces. 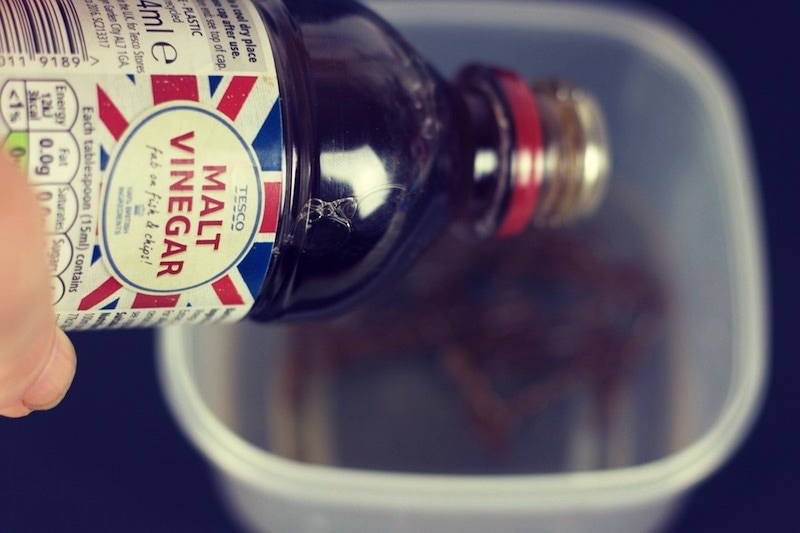 Traditionally the iron sulphate in the ink was obtained from soaking the ingredients in a rusty pot or with rusty nails. 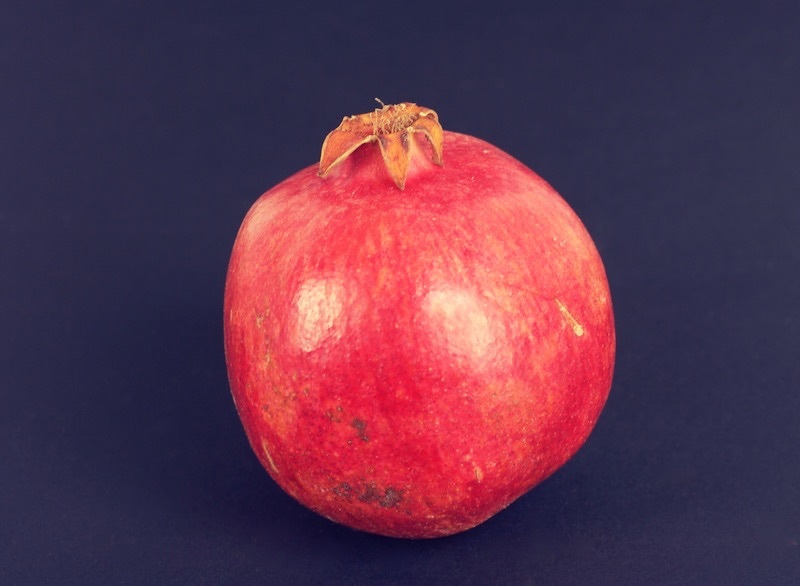 For this experiment I decided to mimic this method and used a handful of rusty nails which was put in a container with the chopped up pomegranate and covered with deionised water. Much of my research suggests that tap water and indeed rainwater is full of impurities that, historically, would not have been present. Therefore, many of the recipes suggest that a good substitute is deionised water. However, I have now had the opportunity of discussing this with a couple of chemists who stated that the deionising process removes all of the minerals and ions from the water, which would not duplicate the water traditionally being used in this process. I will continue to research this and update you. Place the lid on the container and give everything a good shake. I then left my mixture in a warm room for a week making sure to shake the solution every day. After 1 week I poured the whole solution into a pan, cover, and let it simmer on the stove for for a couple of hours. Do not let the pan boil dry. 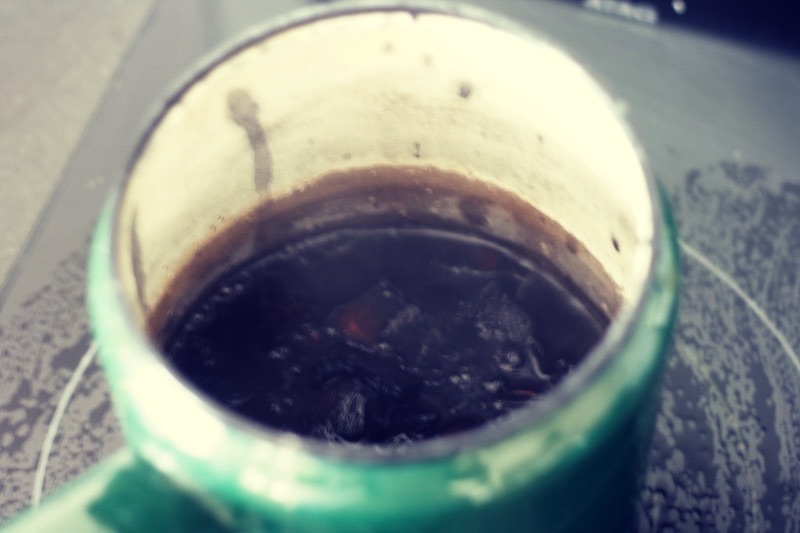 We are using the heat to produce as much tannic acid as possible and, hopefully, produce a lovely dark ink. After a couple of hours turn off the heat and let everything cool down a bit. 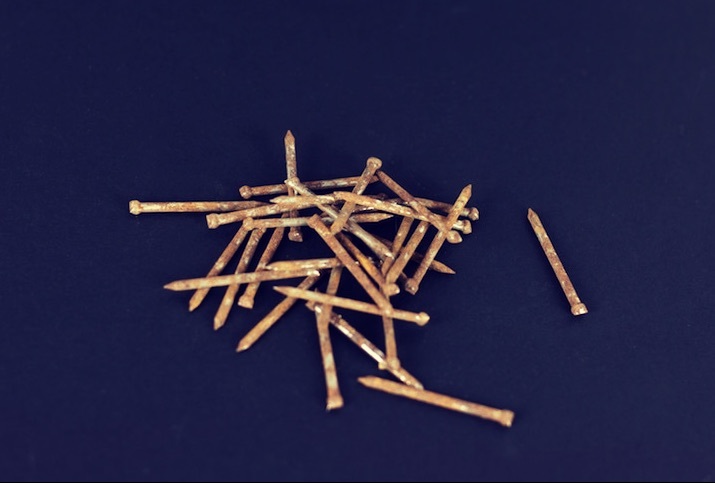 You then need to strain the mixture through muslin to remove the nails, peels and any debris. 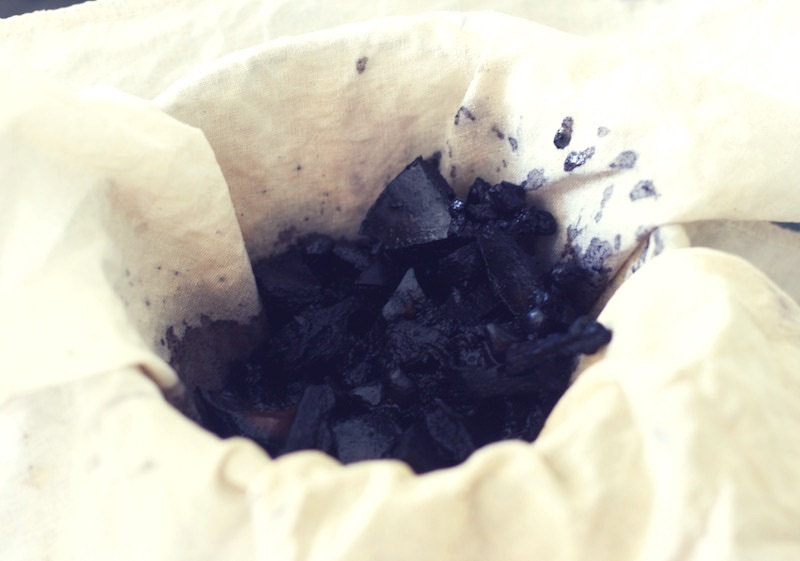 The big difference between this ink and my previous recipe for oak gall ink is that this mixture already has the iron sulphate (from the rusty nails) in it so it is already quite dark as you can see from the staining on the muslin, pictured above. After the solution has strained it still needs gum arabic to improve its body and flow. 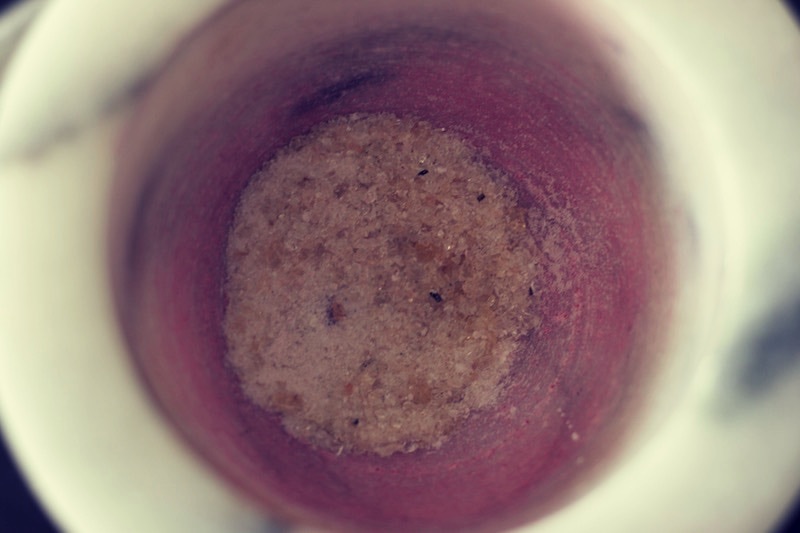 I ground some gum arabic crystals into a fine powder and then mixed them into the solution. I have found that gently heating the ink and stirring will help the gum arabic crystals to dissolve but I will do some more research on the best way to do this and update this tutorial later. Here is my finished bottle of ink. I keep the ink in brown glass bottles so that they are protected from the sunlight. The label is written using a dip pen and the ink so that you can see its colour.